Doodles is a nationally syndicated cartoon strip for kids of all ages. It is written and illustrated by Steve Sack and Chris Foote for Creators Syndicate. 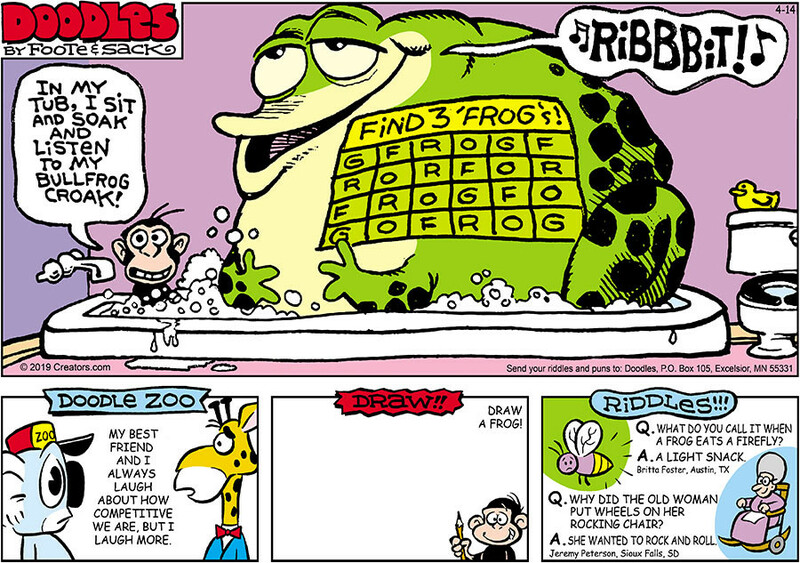 The comic strip features Professor Doodles, a wacky scientist with a love of kids and animals. 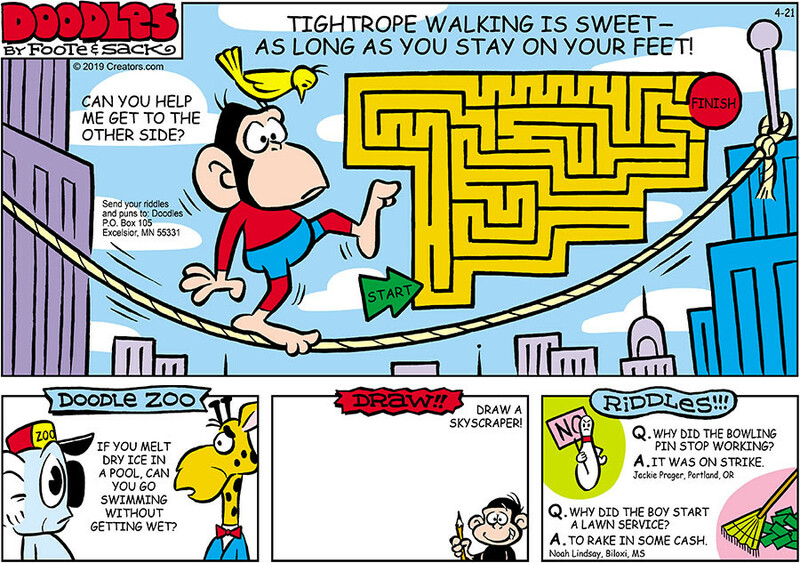 The professor and his menagerie of zoo characters lead kids in several activities in each cartoon, including mazes, jokes, drawing tips, and riddles. 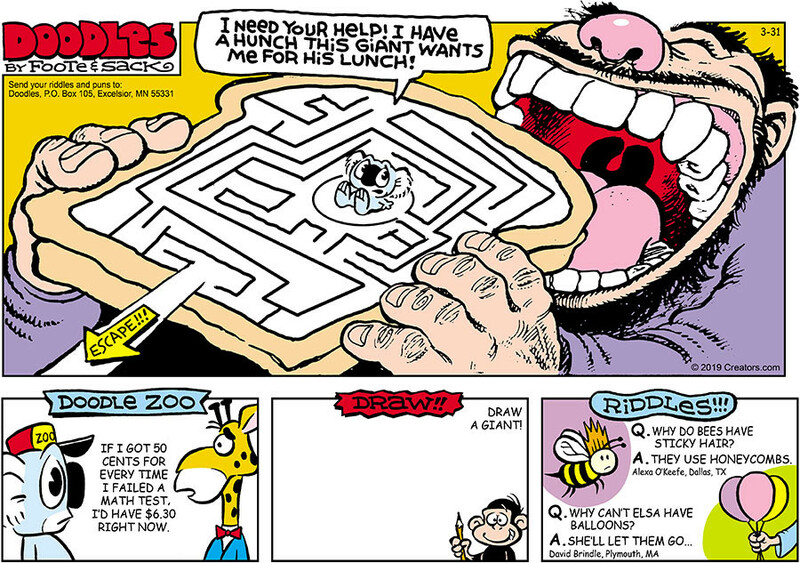 Originally syndicated in 1985 as "Professor Doodles' Just For Kids Corner", the strip was renamed "Doodles" in 1998. The comic is distributed by Creators Syndicate. Kids can also send in their favorite jokes to Professor Doodles for inclusion in the weekly comic.